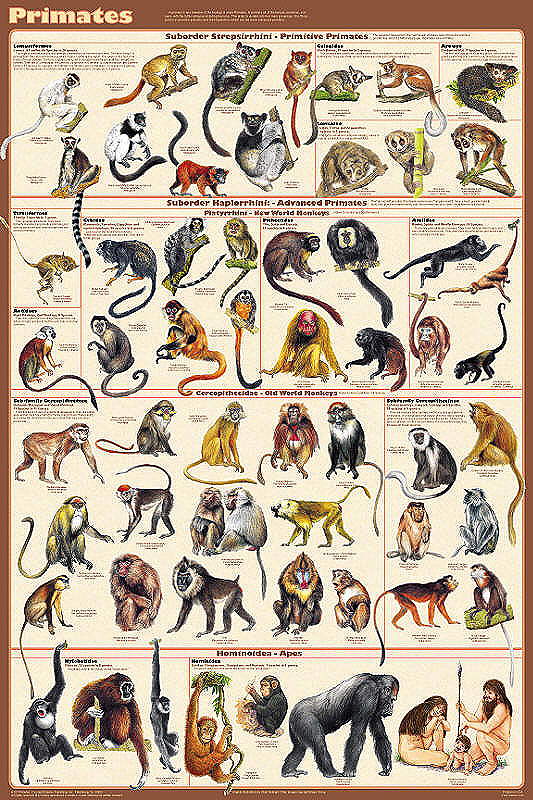 Humans belong to this group of mammals. 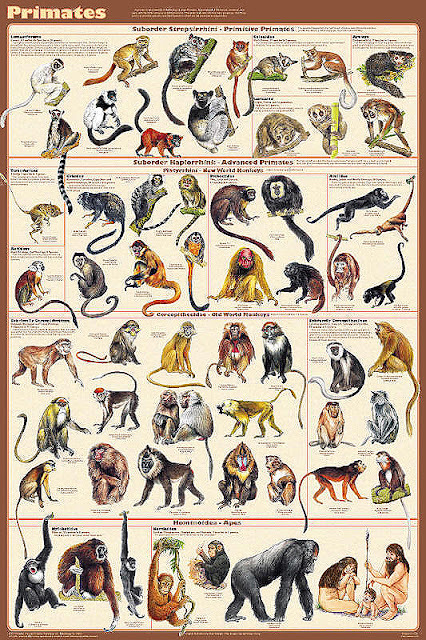 Gorillas, chimpanzees and monkeys are also primates. 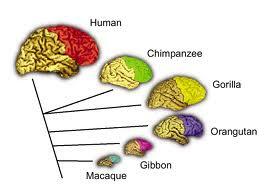 All primates have big brains and their eyes are at the front of their face. They use their hands to grip objects and use them as tools.